AAA Moving & Storage Company – Your Local Mayflower Agent – has more than 30 years of experience and is relied upon by many businesses to handle all of their NE PA/NW NJ commercial moving needs. Our relocation teams are fully licensed and insured, and they deliver timely services. In NE PA/NW NJ, the commercial moving services provided by AAA Moving & Storage Company – Your Local Mayflower Agent – are an ideal option. Call us today for a free estimate. We provide our services seven days a week. We have clean trucks with proper equipment, and we’ll treat your assets with the same respect we treat our own. When it comes time to relocate your office, your company needs a mover that understands you cannot have any more downtime than is absolutely necessary. AAA Moving and Storage Co. has been providing excellent office and commercial moving services in Lackawanna County, Luzerne County, Monroe County, Lehigh County, Northampton County and Carbon County for more than 30 years. Your company is good at what they do and so is AAA Moving and Storage. 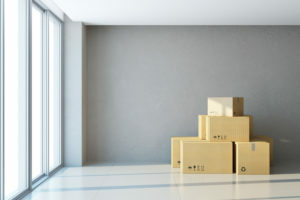 When your office or business need moving and storage services in Lackawanna County, Luzerne County, Monroe County, Lehigh County, Northampton County or Carbon County, PA let the professionals at AAA Moving and Storage Co. help you through the process. We will survey, estimate and work with your team to offer options and arrive at the best plan that will minimize down time and have you up and running and productive as quickly and efficiently as possible.